Start off your visit on the 27th (Fri): wander the streets of Plaka, then delve into the distant past at Acropolis of Athens, and then take in the dramatic natural features at Areopagus. On your second day here, enjoy the sand and surf at Voula Beach, then stroll through Glyfada Beach, and then pause for some photo ops at Temple of Olympian Zeus. 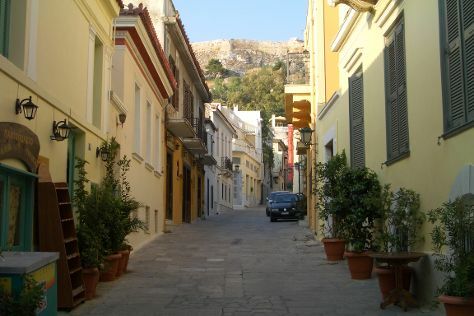 For ratings, photos, traveler tips, and tourist information, read our Athens online trip itinerary builder . If you are flying in from United States, the closest major airport is Eleftherios Venizelos International Airport. In July, daily temperatures in Athens can reach 91°F, while at night they dip to 75°F. Wrap up your sightseeing on the 28th (Sat) early enough to travel back home.